Althea Korea knows how to keep their angels happy - that is by giving generous reward points on their birth month! Fast forward came November, my birth month and Angel Syahira of Althea Korea was one of those who greeted me first through my e-mail! It;s my birth month and Althea Korea prepared a very special gift only for me. It's one of their sweet ways to show that they value yours truly as an active (albeit noob) member of the prestigious Althea Angels Community. The Althea headquarters already credited my birthday points so I can browse the site for my personalized Korean beauty stash! Sharing with you the things I got, watch the video and unbox with me! Here's the breakdown of what I got including their individual prices and SKUs. Note that some of these products are on-sale when I purchased them using my Althea points (1 reward point = 1 Philippine Peso). Individual photos of the products and their respective prices here. 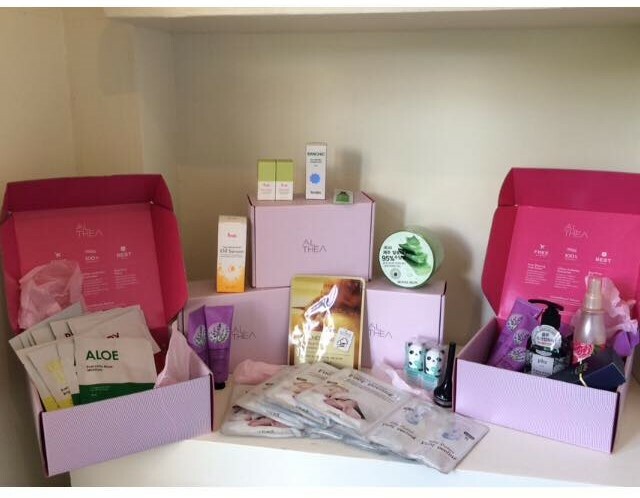 Althea Korea has a wide variety of Korean beauty products! From makeup, skincare, even hair and body! What's more? It's so affordable! Cheap prices for quality Korean products! They even offer free shipping fee for orders Php999.00 and up! and get 20% off on your first purchase! Happy Shopping! Chongmal kamsahamnida (Thank you very much), Althea Korea!